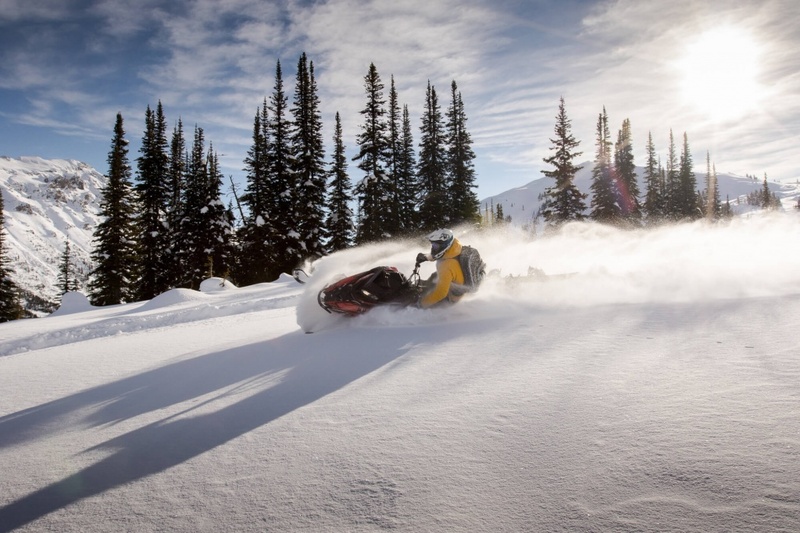 Hi Everyone, we thought we’d pump out a pre-season blog about snowmobile conditions in Golden BC. 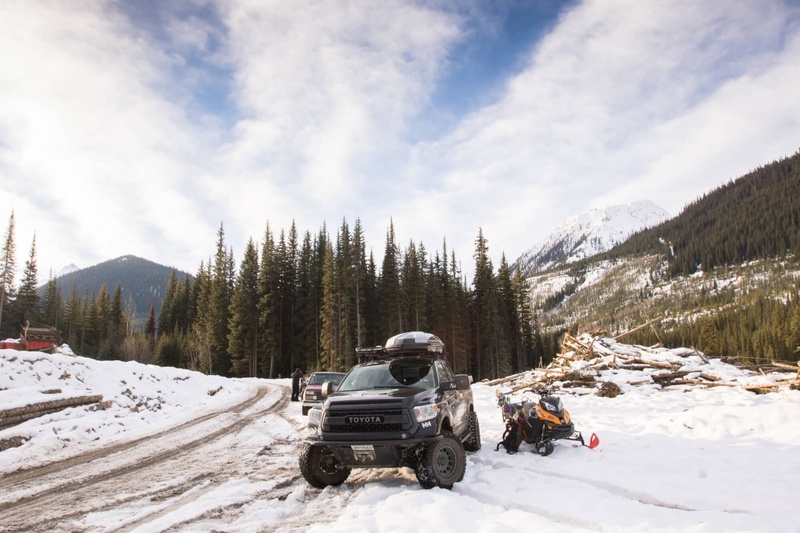 Our Facebook Page has been getting hammered with questions and we’ve been seeing some rigs show up in town, so we thought we’d post some pics and vid and some advice about riding right now in Golden BC. For pre-season, early Novemeber, it’s pretty good. But, and there’s a BIG but and we can not lie, there’s not that much snow and it’s pretty high up. On Nov 4th, 2016 we measured 83 cms of snow depth, at 2,350 m on a wind swept east face. It’s possible there’s deposits over a meter somewhere but it’s still pretty shallow. It was a day of treading very lightly. 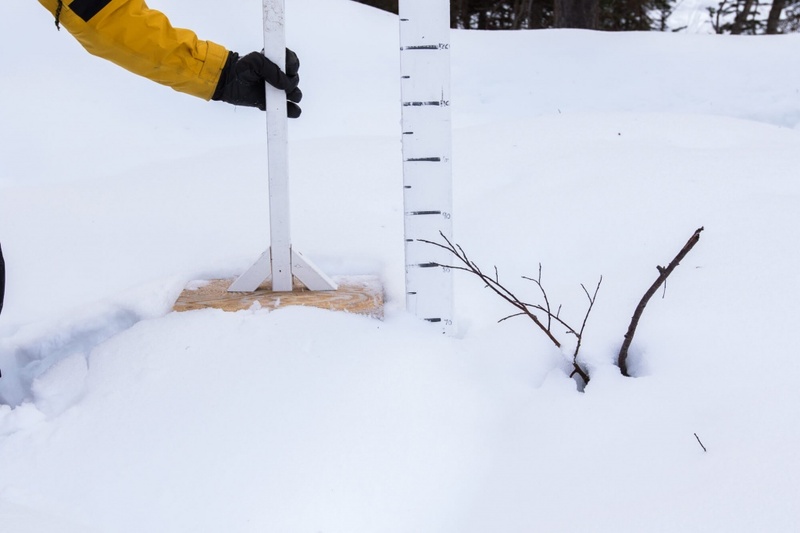 The good news is the density of snowpack. We’ve got a fairly firm base with growing density as we move from top to bottom, which is why you can snowmobile at all right now. If that snow was just fluff, we’d be screwed. 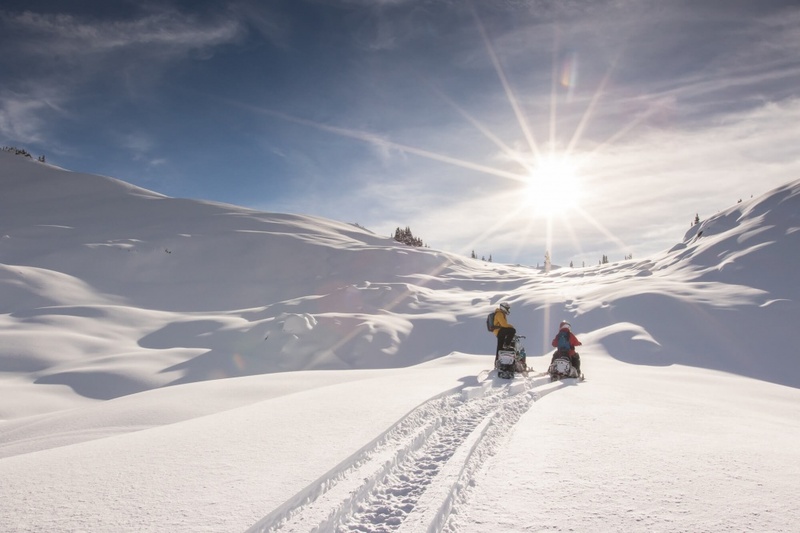 A satisfying day in the mountains is possible right now as long as expectations are aligned. 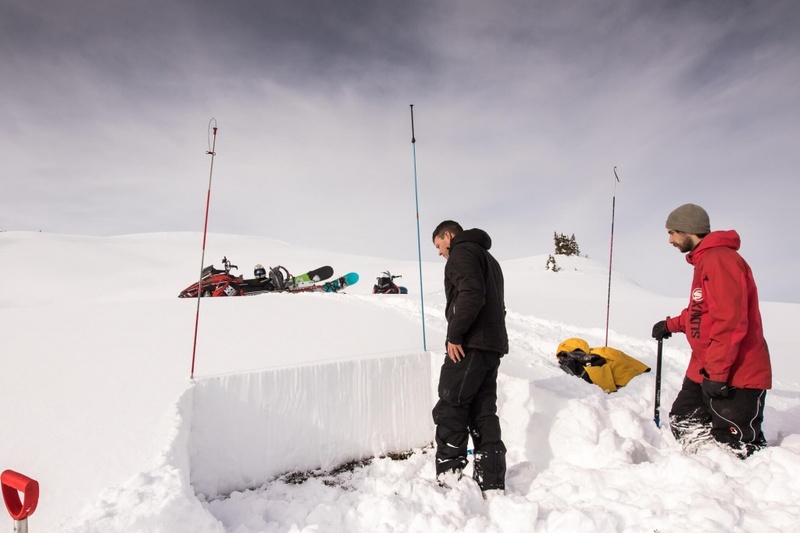 It isn’t mid-winter and we wouldn’t recommend sledding like it is… Hopefully common sense is in high supply in your group. 83 cms on an E face at 2350m. Nov 4th, 2016 Quartz Creek. 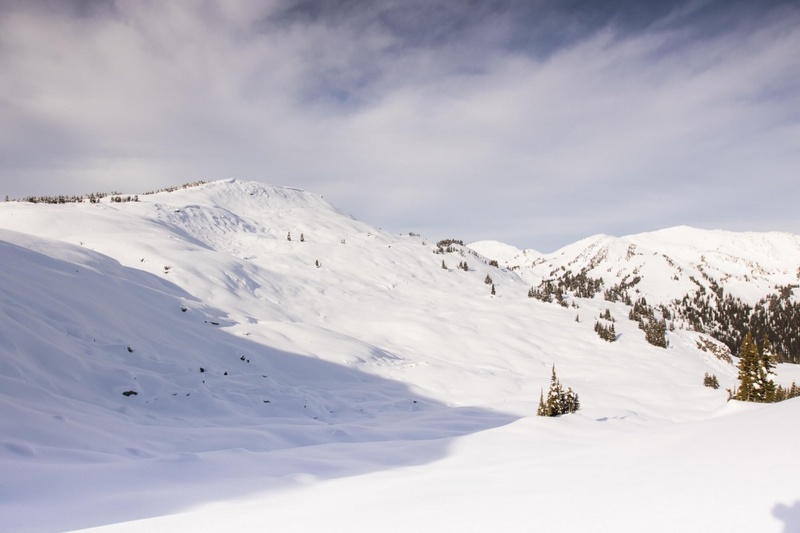 There’s not avalanche reports from Avalanche Canada yet but that doesn’t mean avalanches aren’t happening. There’s already a series of crusts that have formed and their reactions could still kill you. Please please please be careful out there. 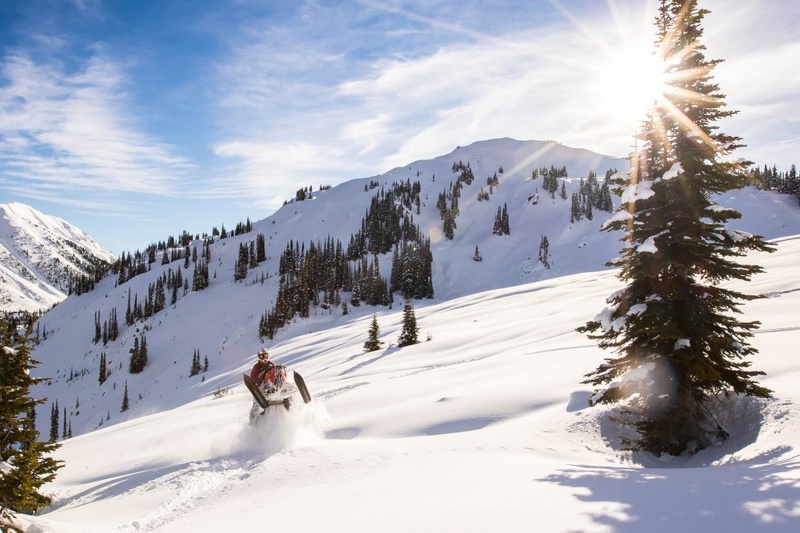 All of our riding alpine areas are in avalanche terrain and require knowledge and practice to operate safely in. Nov 4,2016 Snow density demo. 2,350 m on an Easr face in Quartz creek. Big thanks to Aaron Bernasconi @mountain_motorsports more info on our website. Link in profile. Compression test discussion. Nov 4th, 2016. 2,350 m Quartz Creek. East facing slope. Big ups to @mountain_motorsports for not being shy. Quartz – Pre-season conditions, experts only are recommended, enclosed trailers not recommended, A-arm budget is recommended. Access up to the cabin is remarkably good for pre-season standards. Be prepared for some rough ditch crossings but we’ve seen worse for sure. Above the cabin is risky but guys have been playing. It is possible to have a pretty good day. We highly recommend you to take it easy. Parking is at the gold mine, approximately 5km (don’t quote us on that) above the winter kiosk. The gold mine has expanded over the summer to say the least, so it’s kind of a long stretch where you could possibly pull over. There is a parking spot, above the mine, right at the fork of East Quartz and Quartz but it will only hold a few trucks. There’s basically NO space to turn around an enclosed trailer anywhere up the road. Trucks with single sleds, decks, or light 2-spot trailers, that can be hand-bombed around if needs be, are what is recommended. The road is rutted out and muddy. Parking for Quartz is basically anywhere along the gold mine. Enclosed trailers are NOT recommended. Gorman Lake – Not recommended at all. We don’t have much beta from Gorman but we know that it usually gets less snow than Quartz and has more rocks. Let us know if you go but we’re going to wait for a bit. Silent Pass – Not sure if its a go, but we doubt it. We don’t have beta from Silent yet and would like to hear about it. Our gut tells us the trail in is terrible if it exists at all. The snow is not very low this year and trail breaking to the alpine, we can only imagine, is brutal. Prove us wrong if you’re brave. Thanks for checking us out. Please follow us on FaceBook and Instagram and if you’re coming to town, please support our sponsors.